ONLY 11 HOMES LEFT IN THE COMMUNITY TO BE BUILT. NEXT AVAILABLE HOMES WILL DELIVER IN FALL 2019. Come by register and get pre-approved to get on our list so we can contact you when our new inventory released for presale. Model closed for holiday weekend we will reopen on Saturday 4/27 at 12pm. UP TO 6% Closing Assistance with use of preferred lender title co. HW Flooring, Master Bath, Upgraded Cabinets included. Additional options available. Located near MGM National Harbor. 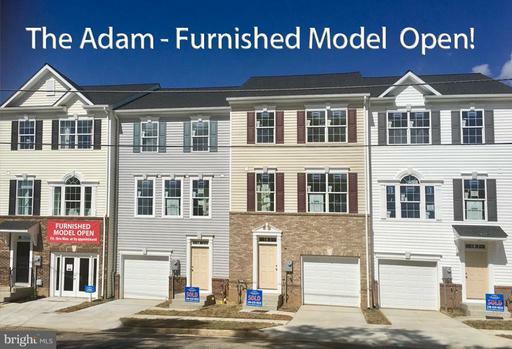 Visit our furnished ADAM model home @ 714 Maury Ave to speak with a sales agent. 714 Maury Ave is our furnished Adam model and is not the actual unit available for sale. Pricing shown is base starting price before additional options.